2 letterpress inks (Rhodamine Red and Black). Crane Lettra 220# Fluorescent White Cover. The invitation (9″ x 9″) was duplexed after being printed to make 440#, then edge painted in Rhodamine Red. 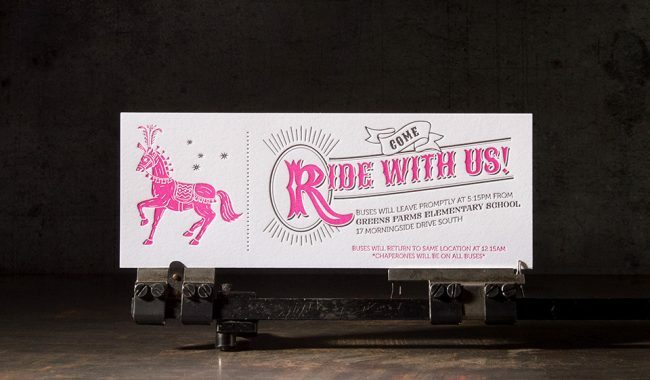 Coordinating transportation cards (8″ x 3″) were printed on Crane Lettra 110# Fluorescent White Cover. 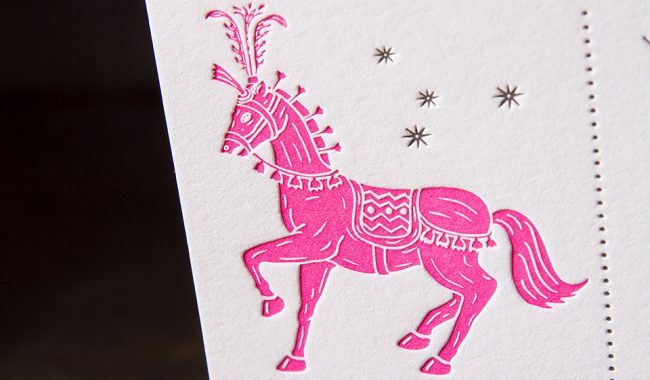 Printed on our Heidelberg cylinder press. 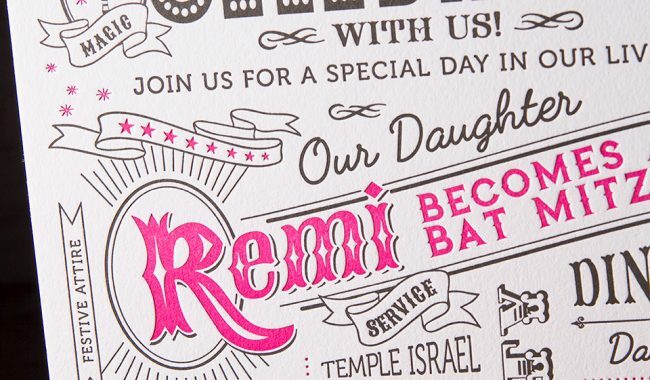 the letterpress bat mitzvah invitations. 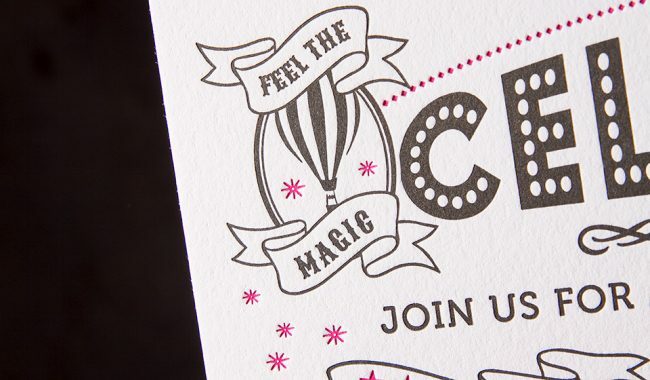 How do you design an invitation that screams fun and is upscale and chic? This was the problem Alex and Jasmina of Alex&Mima were asked to solve. “It was a process, we held countless meetings with our clients to get the design just right. 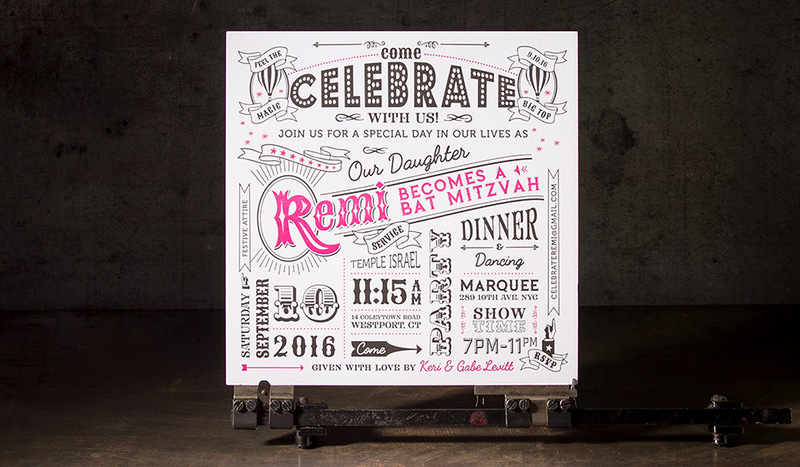 We wanted to create a fun invitation that Remi would be proud to send out and also an invitation her mom Keri Levitt would love as well,” said Alex Kneselac, head designer and partner at Alex&Mima.